Laura Carlson was born in Puyallup, Washington and has lived in the area her entire life. She graduated from George Fox University, graduating with a degree in Accounting and Business Administration. Following that, moved on to the Golden Gate University, San Francisco campus, where she obtained a Master of Science in Taxation. 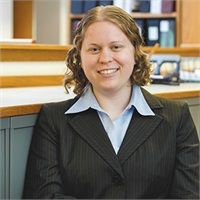 Laura joined NR Smith and Associates in 2011. Her primary activity has been in the taxation area. Her taxation skills have been applied and integrated into all areas of the firm, including the financial planning team. This holistic approach provides maximum benefit to our clients on a fee-only basis. Outside the office, Laura enjoys gardening and decorating her recently purchased home, but her passion is traveling. She has traveled extensively in Western Europe and Africa. Her Africa travels included Kenya and South Africa. In Kenya, she enjoyed participating in building local housing for the residents.